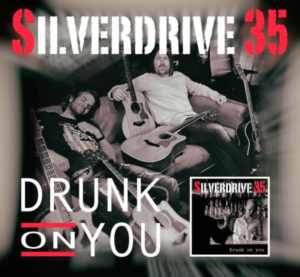 Our buddies, Silverdrive 35, are back with some new music. These guys seem pretty cool. I don’t know them personally, but their team has been sending their new singles now for a couple years. And they seem so excited each time they put out new music. And it comes across in their music. There is passion. There is drive. And their fans seem to love them. Here is their new one. The first thing that stands out to me on this one is the sound. These guys have always shown that they have some influence from ’80s rock. And I love that era so there is a lot to like. Those sounds have had influence in the country world for at least a decade. They really come through with artists like Jason Aldean and even with Brad Paisley. The melodies are good too. It’s one that will get you singing along with the chorus right during the first listen. And that takes something. The lyrics tell the story of a guy that’s having a few drinks. That’s got him reminiscing a little bit. He’s thinking back to a woman that was once in his life, but that’s gone now. She’s out there doing her thing. He’s not even sure where she might be or what she’s doing. He’s just thinking that she might be the one that got away. He’s wondering if he made a mistake and missed his chance. Let the guys know what you think of this one.